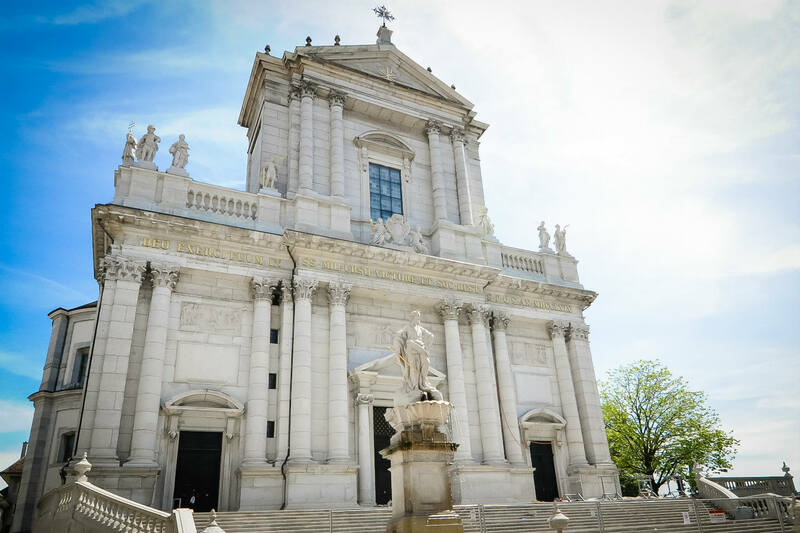 Solothurn is recognized as Switzerland’s most significant baroque town. 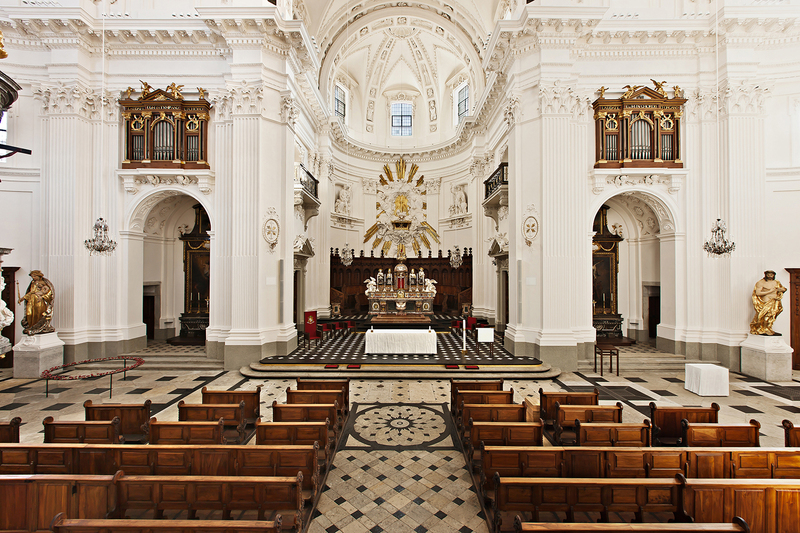 Its major hallmark and tourist attraction is the St. Ursen-Cathedral. 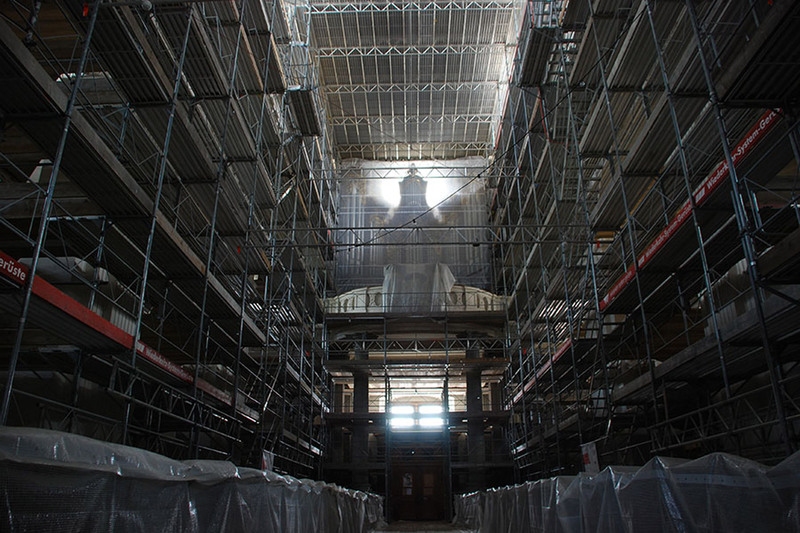 In January 2011, a fire set by a mentally disturbed person massively damaged the Cathedral’s 60m x 30m/200 x 100 sq. ft. center congregation area and side aisles. 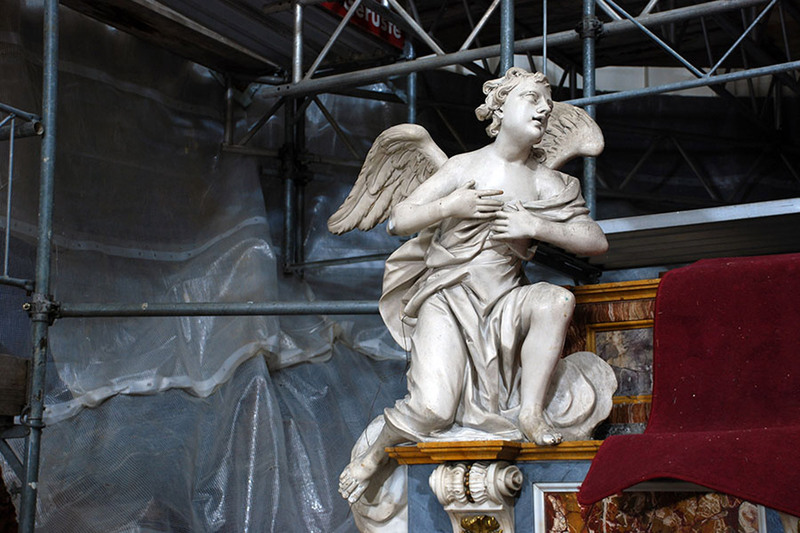 A careful assessment determined that a full cleaning and repair of all surfaces could restore the damaged room to its former glory. 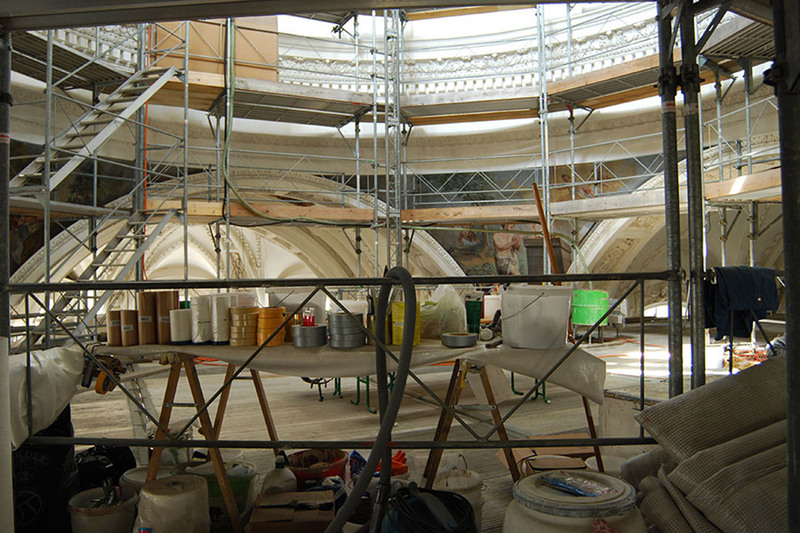 The restoration was coordinated by Pius Flury and Iwan Affolter of Flury und Rudolf Architekten AG. The project included all aspects of the building: surfaces, art, lighting, heating, electrical, and electro-acoustics infrastructure. 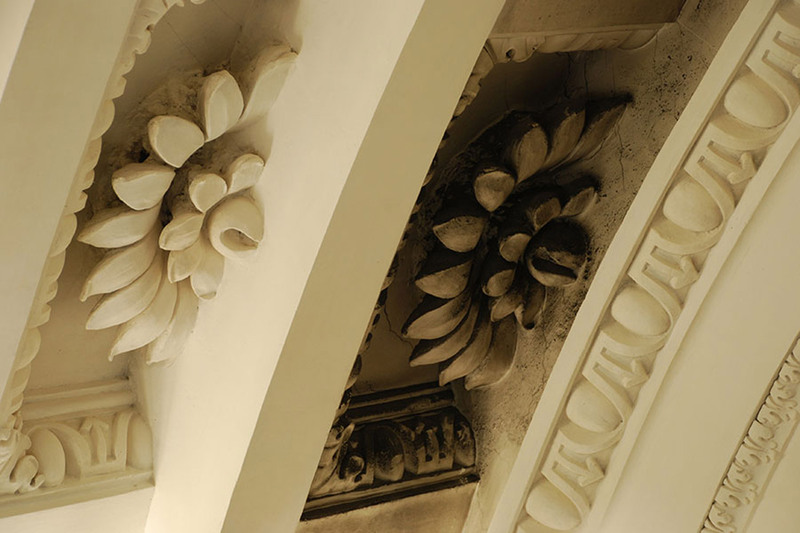 WSDG was engaged to design and supervise installation of the electro-acoustics system. Early on in the planning process, extensive acoustical measurements were conducted, to both obtain a “status quo” documentation and to serve as a base for the predictive simulation software employed. Although RT60 Reverberation Times exceed 6 seconds at 500Hz – and a reduction would have been helpful to achieve improved speech intelligibility, changing the materialization of the building was not an option. Moreover, new measurements completed following the restoration revealed that the RT60 Reverberation Times were even higher after the accumulated dirt and gray burn residue were removed. To resolve these issues, a number of CVS Clearvoice Systems Evolutone 3000, Evolutone 2000 and Evolutone 1000 steerable array loudspeakers were specified based on their inherent long-range throw, highly sophisticated steering algorithms and high speech intelligibility characteristics. The loudspeakers are driven by a networked BSS Soundweb DSP backbone, controlled by a Crestron touch panel. Gateways to other building management components (lights, heating, church bells etc.) were also incorporated to facilitate total building control from a centralized panel. WSDG engineered a number of custom solutions including auxiliary in and outputs for broadcast trucks, exterior courtyard locations and a time-critical audio and video monitoring and communication system for two organ players positioned 1/5 seconds (60m/200 ft.) apart during their duet performances. Parishioners and tourists alike have heralded the recently completed renovation as a total success. 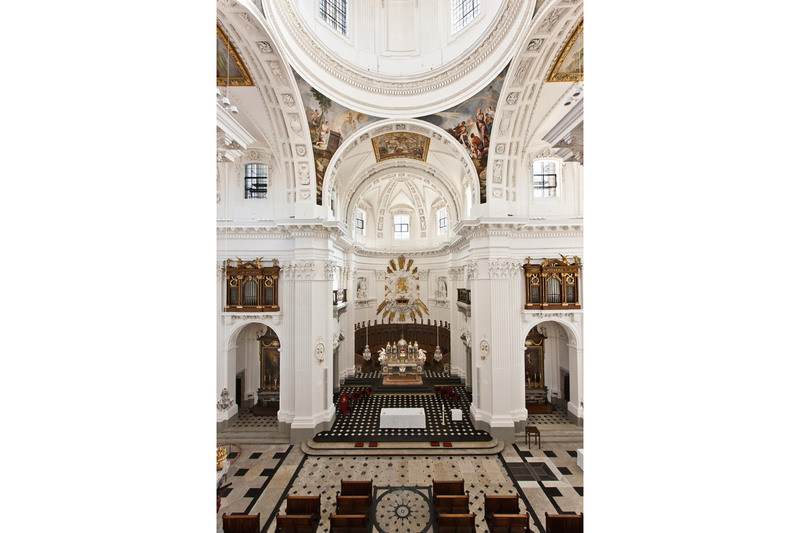 See St. Ursen Cathedral on the cover of Sound & Video Contractor and read article.